Free Money Day Goes Virtual! Now this is what Free Money Day is all about! …Mobilizing community by engaging people in ways our current systems and measures tend to overlook or disregard. …Shifting from despairing conversations about what’s wrong to exciting conversations about what’s possible. Welcome aboard, Creative Crip! 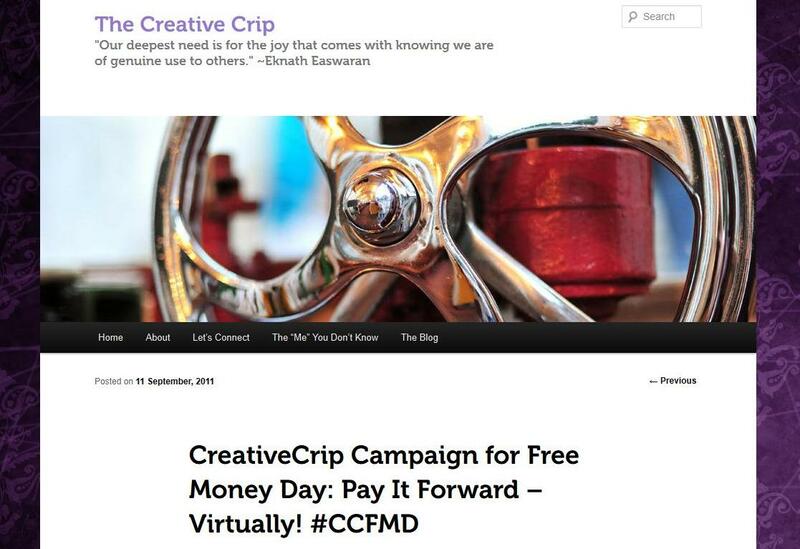 We urge everyone to support this virtual campaign (twitter hashtag #CCFMD) reminding us that Free Money Day is a gift to be shared in whatever ways we wish! Previous post: An Overwhelming Response!